On the first Saturday in March each year, people from all over the world travel to Alaska to watch or participate in the Iditarod Trail Sled Dog Race. Teams consisting of a musher (the man or woman driving the sled) and 12 to 16 dogs each race over 1,150 miles across Alaska. Known as the "Last Great Race," the Iditarod began in 1973 on the 100th anniversary of Alaska's statehood. The race commemorates an event that happened in 1925. Alaska was suffering from a diphtheria outbreak. The only way to get medicine to the town was by sled dog. The medicine was successfully transported and many lives were saved because of the brave mushers and their surefooted, dependable dogs. The modern Iditarod features two different routes, a northern and a southern route. It alternates between the two paths each year. The challenging race takes nearly two weeks (9-15 days) to complete. There are checkpoints along the trail where mushers can care for their dogs and where they and the dogs can rest. Mushers are required to rest for one 24-hour stop and at least two 8-hour stops during the race. Introduce your students to the Iditarod's history with these free printable pages. In this activity, students will match each of the 10 words from the word bank with the appropriate definition. It’s a perfect way to introduce key terms associated with the Iditarod. Students may use a dictionary or the internet to define each term. Invite your students to learn more about the Iditarod by matching each clue with the appropriate term in this fun crossword puzzle. Each key term has been included in a word bank to make the activity accessible for younger students. This multiple-choice challenge will test your student's knowledge of the facts related to the Iditarod. 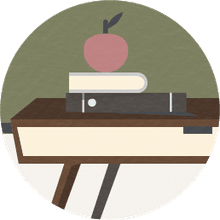 Let your child practice their research skills by investigating at your local library or on the internet to discover the answers to questions about which they're unsure. Elementary-age students can practice their alphabetizing skills with this activity. They'll place the words associated with the Iditarod in correct alphabetical order. Students can use this draw and write worksheet to draw a picture of something related to the Iditarod. They'll use the blank lines to write about their drawing. Alternately, provide students with pictures of "The Last Great Race" and then have them draw a picture based on what they see. Prepare for this tic-tac-toe game ahead of time by cutting the pieces off at the dotted line and then cutting the pieces apart or have older children do it themselves. Then, have fun playing Iditarod tic-tac-toe, featuring Alaskan huskies and malamutes, with your students. The Iditarod makes for a visually stunning picture. 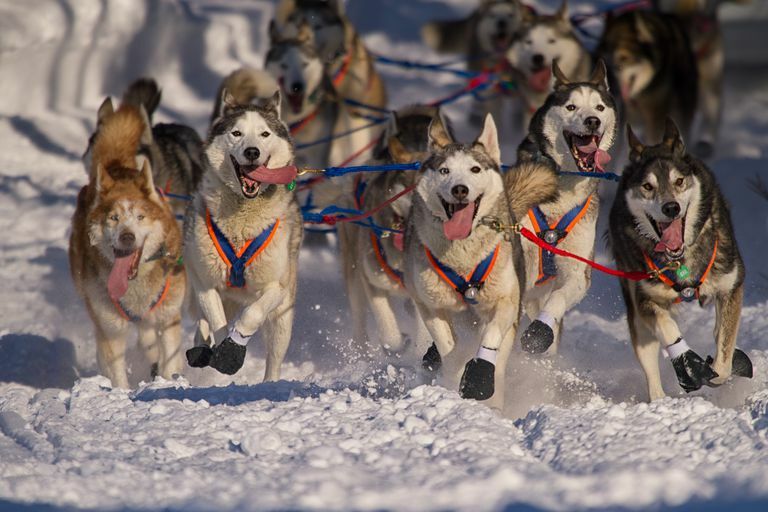 With more than 70 teams in the 2017 event, for example, explain to students that they might see hundreds of dogs pulling sleds up and down Alaskan snowbanks if they attended the race. Help students learn about these and other interesting facts as they complete this coloring page. Mushers (​dog sled drivers) move their dogsleds through 26 checkpoints on the northern route and 27 on the southern. Each checkpoint has veterinarians available to examine and care for the dogs. Have students research facts about the race and then write a brief synopsis of what they learned on this Iditarod theme paper. To motivate students, show a brief documentary on the Iditarod before they tackle the paper.